We developed the VCEP application with NTI specifically in mind. Northeast Technical Institute (NTI), a nationally accredited career school with three campuses in Maine, recently launched an innovative, leading edge virtual admissions tool that helps prospective students to make more informed decisions about their education and career path. NTI’s ‘Virtual Career and Education Planner’ (VCEP) is a sophisticated web-based application built for the school by Shane Sparks and his developers at Enrollment Resources, Inc., an admissions research firm based in BC, Canada. The application is used by NTI Advisors during the initial admissions interview with each prospective student. The VCEP takes the prospect through a series of targeted questions which help to more clearly identify education and career goals, personal strengths, motivation and social style. Identifying social styles helps prospective students understand how well their nature fits with certain career types. For example, Analytical people thrive in jobs that appeal to their logical nature, Expressives do well in careers that have interaction with customers and Amiables make great care givers. 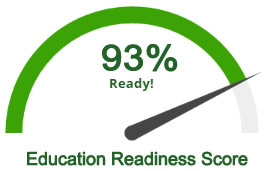 At the conclusion of the interview, a detailed ‘Education and Career Readiness’ score is generated for the candidate. The report's analytics help to determine if there's a school and program match for the potential student. This unique admissions process also helps NTI to maintain the highest possible completion rates and ensure graduates are highly employable in their field of study. Northeast Technical Institute is Maine’s only locally owned and operated accredited career training school with campuses in Bangor, Scarborough and an extension campus in Lewiston. NTI is a VA approved school in Bangor and Scarborough and offers Federal Financial Aid, grants and scholarships for many of its programs and for those who qualify. With its short-term, hands-on approach to training, NTI graduates are job-ready, may earn national certification and are prepared to meet the industry’s staffing needs for qualified professionals. The school offers in-demand training for a range of medical programs, including Medical Assistant, Medical Lab Assistant, Medical Coding and Billing and Phlebotomy. HVAC/R and CDL Truck Driving are offered at the school’s Scarborough and Bangor campuses. The Scarborough and Lewiston campuses also offer Information Technology (PC Repair, Network Administration). Classes start each week or month for most programs.